It's been a while since I last posted a recipe, so I thought I was due. 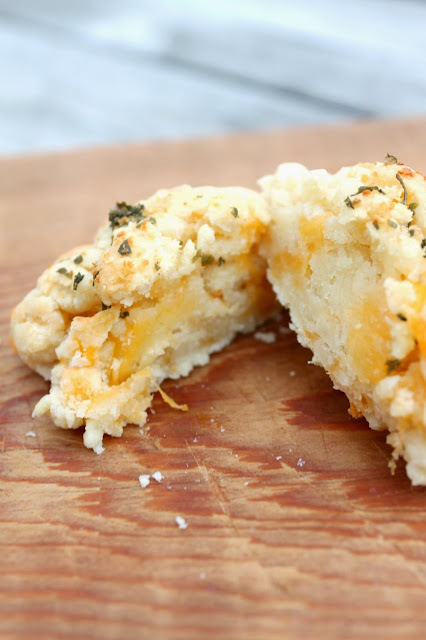 And I got an easy one for ya today: garlic cheddar biscuits. A friend posted a recipe for two ingredient biscuits the other day on Instagram. Can you guess what the two ingredients are? Yeah, believe it or not, this is all you need to make biscuits. 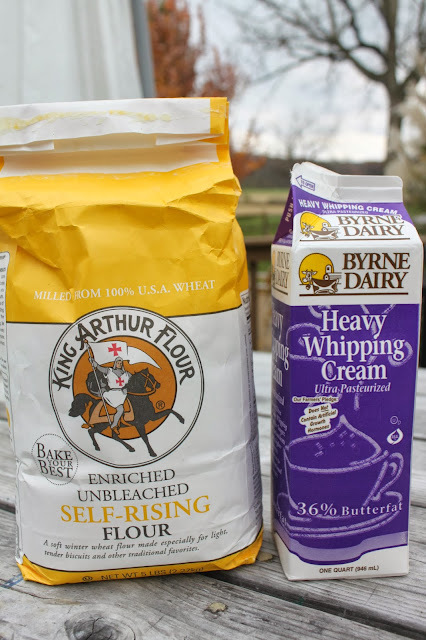 Just two cups of self-rising flour and one cup of heavy cream. Mix those two ingredients together, bake at 450 for 10-12 minutes and that's it. 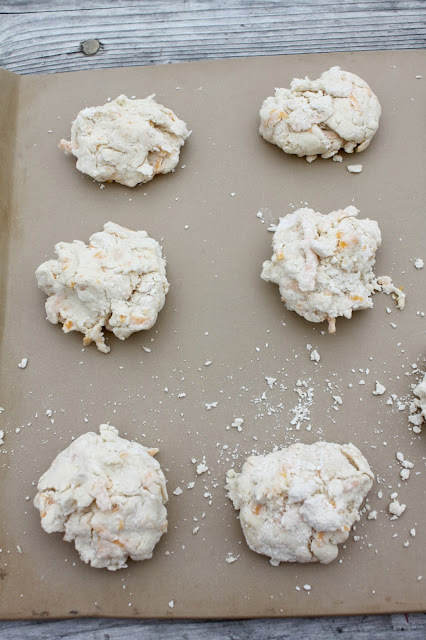 Yummy biscuits that are perfect with some butter and strawberry jam slathered on top! But the other day I made a roast beef and veggies in my Dutch oven and I wanted some biscuits with it. I wanted something heartier. So I tweaked the recipe by adding some of this stuff. 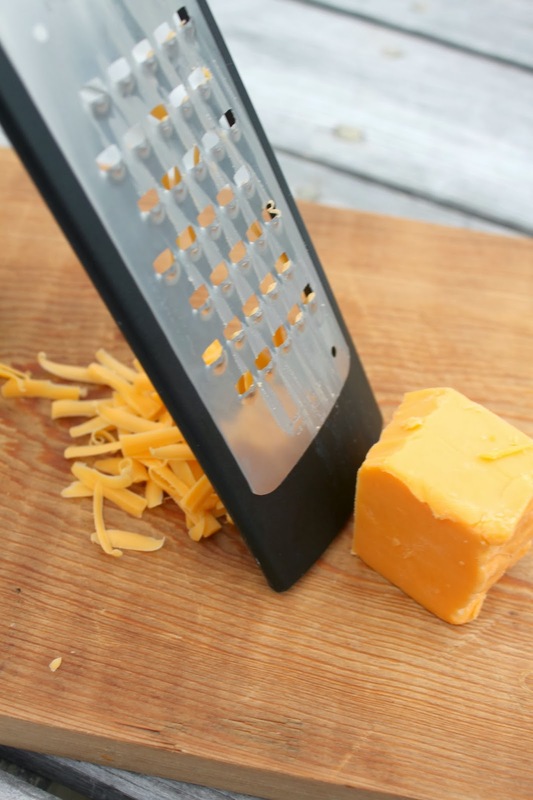 You can never go wrong with a little cheddar. Oh and garlic. Who doesn't love garlic? So these are basically like the biscuits you get at Red Lobster--those Cheddar Bay biscuits, ya know, the ones that are so addicting. 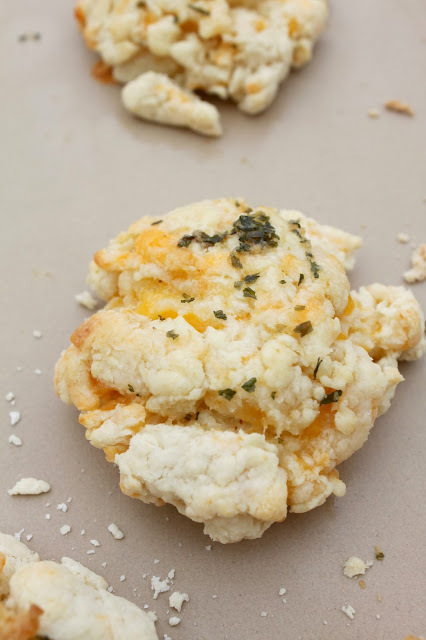 There are a lot of recipes on Pinterest for Cheddar Bay biscuits but pretty much all of them either use Bisquick or a bunch of other ingredients (e.g. all purpose flour, cake flour, baking soda, powder, etc). 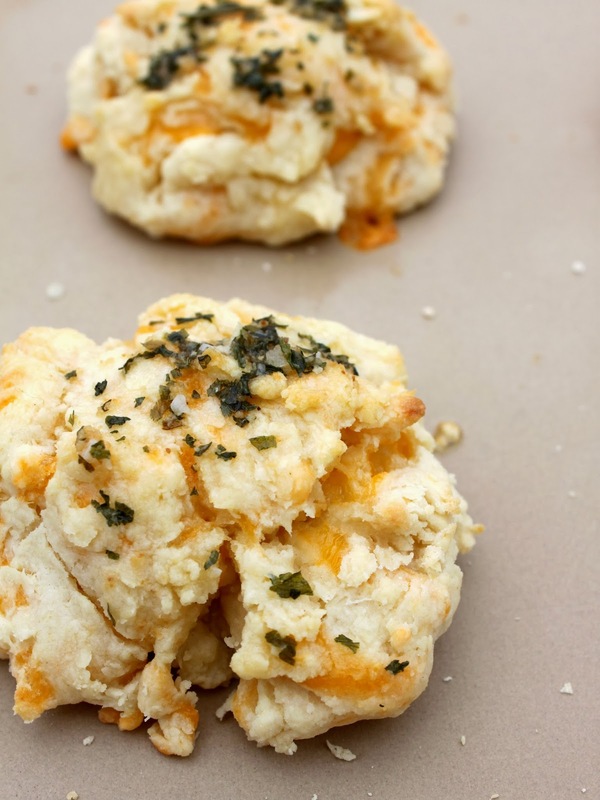 So this is an easy from-scratch version of those tasty biscuits. While the biscuits are baking, melt 2 teaspoons of butter, adding some garlic powder, parsley, and a dash of salt to it. Then brush that mixture on top of the biscuits when done. Combine flour and cream in a mixing bowl, stirring just until blended. Add cheddar cheese and garlic powder and mix together by hand on a floured surface until incorporated. Bake for 15-17 minutes until tops begin to turn golden brown. While biscuits are baking, melt 2 tablespoons of butter and stir in the 1/4 teaspoon of parsley flakes, 1/2 teaspoon of garlic powder, and the pinch of salt. After biscuits are done baking, brush the butter mixture over the tops of the warm biscuits. I am really impressed with your writing skills and also with the layout on your blog. Is this a paid theme or did you modify it yourself? Anyway keep up the excellent quality writing, it’s rare to see a nice blog like this one these days.